Save time, attract more golfers and generate more money for your golf tournament! Click on each feature to read more on how it will benefit your tournament! WhyNotGolf makes it easier than ever to run and manage a tournament than ever before. 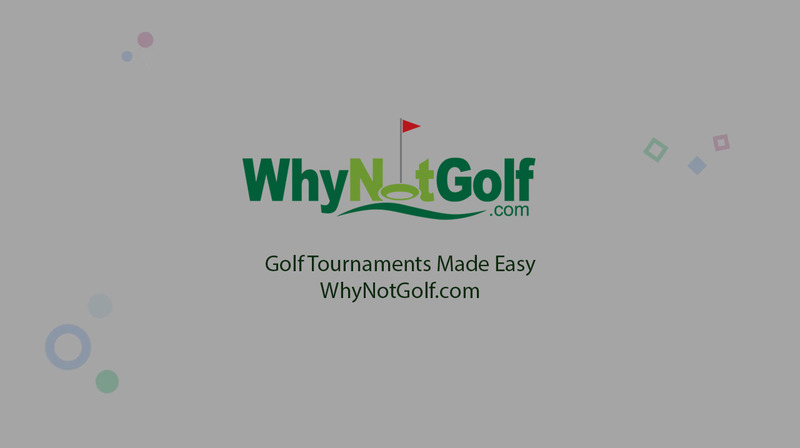 WhyNotGolf is a must use for your tournament this year! What's the formula when you save charities and tournament organizers valuable time? Whether you’re raising money for charity, putting together a corporate event, or putting together tournaments for fun. The WhyNotGolf platform was built and designed to save the tournament organizers and golf courses time. Allowing you to focus on more important tasks such as marketing and promotion. One of the best ways to raise money for your charitable organization is to have an annual golf tournament. Many sponsors and donors look forward to the annual charity golf tournament each year and if you run it right, you can make a lot of money. However, it is a lot of hard work to run a golf tournament. Using the right software and website technology will help you save time and raise more money. That is where we at WhyNotGolf.com come in. With our unique software, WhyNotGolf.com saves time and effort while making it easier to attract more players. Leverage your player’s social media to get your tournament in front of more people this year! Try out WhyNotGolf.com to start saving time and effort while getting more golfers at your tournament this year! WhyNotGolf.com streamlines the registration process between the golf course and tournament organizers. By running tournaments through our site, it makes the registration process between the tournament and the course easier than ever. Courses will be able to log in and see the foursome report for each tournament in real time and it can be downloaded in CSV or PDF format so that the players can be entered into the course’s tournament system. Run your tournament today! The future of golf tournaments is here!